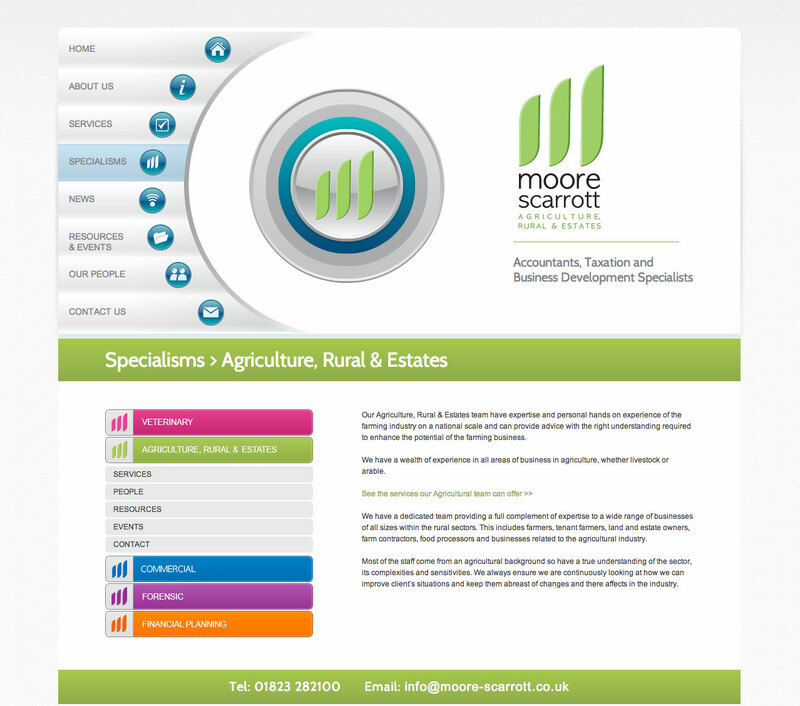 Moore Scarrott wanted to refresh their website to bring it up to date and improve visitors’ experience. 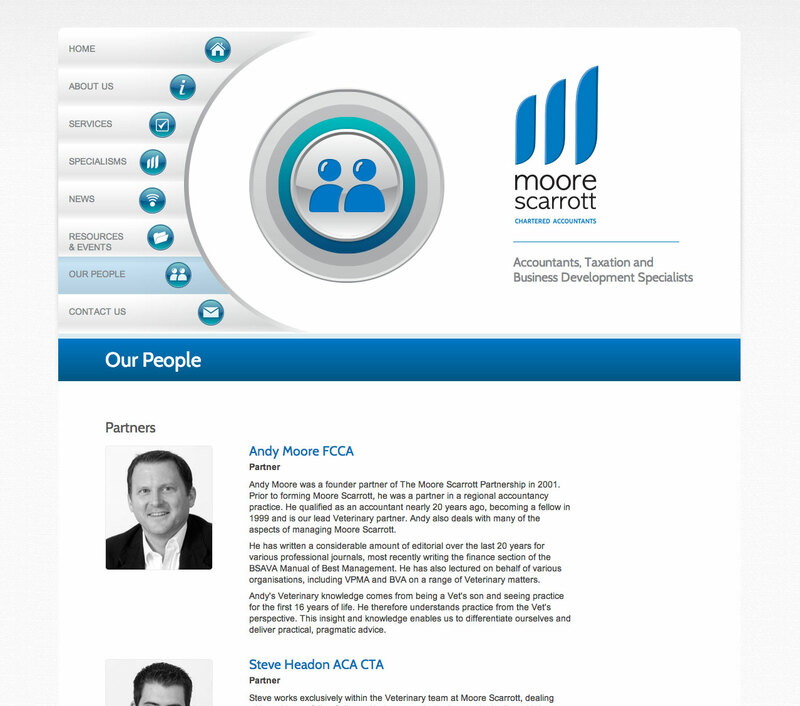 They wanted something different and to reinforce the brand of the company and each of their specialisms. They also wanted to be able to incorporate their news feed, show staff profiles and promote events that they run and attend. 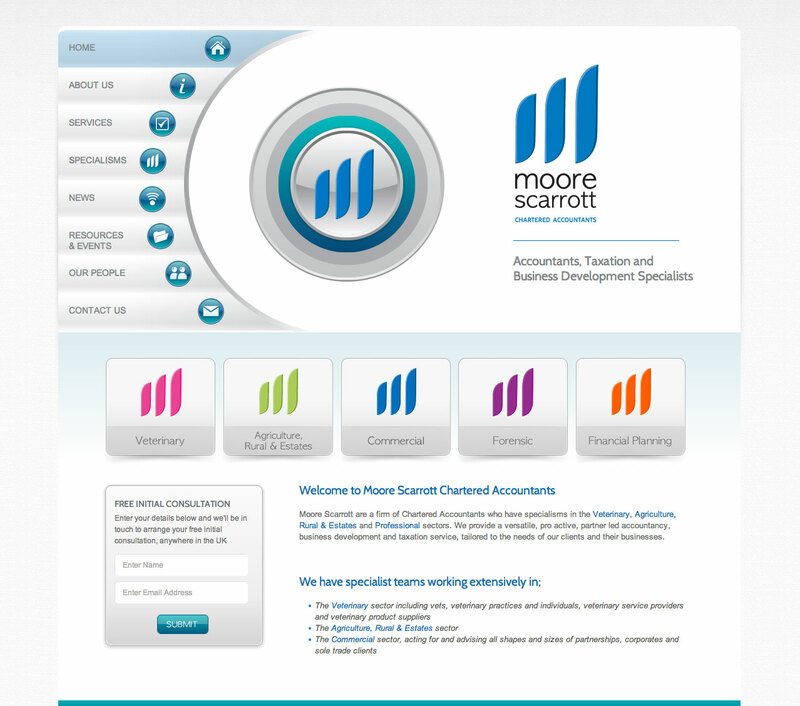 To make the site different we used an unconventional but intuitive menu system. 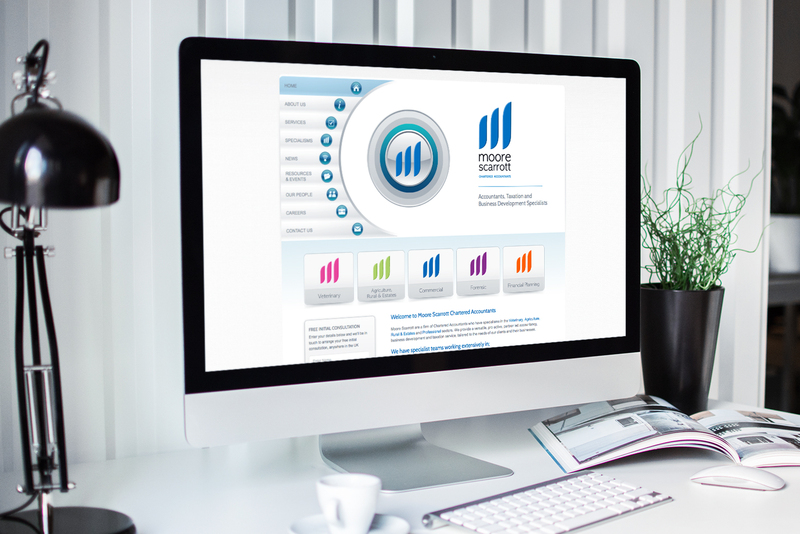 We used the logo shape throughout the design to reinforce the brand, and incorporated the specialism colours on each of the specialism pages. SOTO were recommended to us to redesign our website from scratch and the first thing that came across when we met them was that their managing director Zoey O’Neill was very ‘human’ (unlike many other web designers) and clearly used to working with the more testing clients. 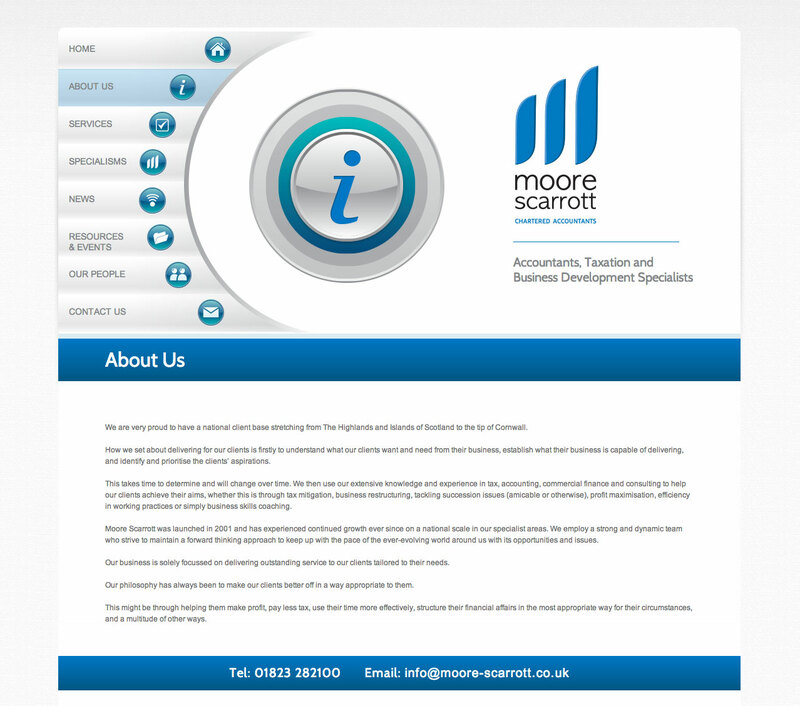 We wanted the Moore Scarrott website to stand out and set itself apart from the run of the mill, dull accountant type websites. We feel the brief was met to a very high standard.